An Indonesian citizen, born in 1972. 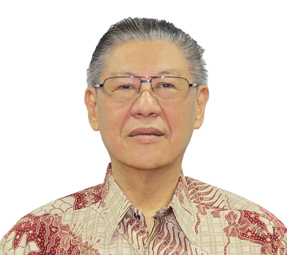 Mr. Hartono was appointed as President Commissioner of the Company in May 2017. He joined the ADR Group of Companies in 1994 and currently serves as Director of PT Adrindo Intiperkasa, PT Adrindo Intisarana, and President Commissioners PT Hydraxle Perkasa, President Commissioners PT Prapat Tunggal Cipta and President Commissioners PT Selamat Sempana Perkasa. He previously worked for Harrison Delphi, Lockport NW, USA, and Factory Manager of the Company (1998-2002). He graduated with a bachelor degree from California State University Long Beach, USA in the year 1994 and Master of Management from Institute Pendidikan Pengembangan Manajemen, Jakarta in year 1996. An Indonesian citizen, born in 1945. Mr. Hidayat was appointed Independent Commissioner of the Company in November 2006. 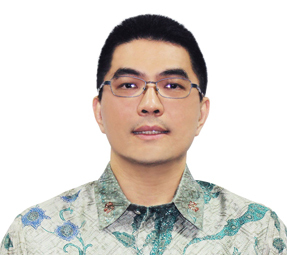 He is a former Sales Manager of PT Buwono Intracon, Director of The Company (1983-2000) and Commissioner of The Company (2000-2001). He holds a Diploma degree.